Gordon & Rumsby - News- Gordon & Rumsby Ramblings! Welcome to our Ramblings! This will be a semi-regular feature whereby we share some of our favourite made up words or phrases that have been born as a result of over enthusiastic typing (errors!). We hope you enjoy them! 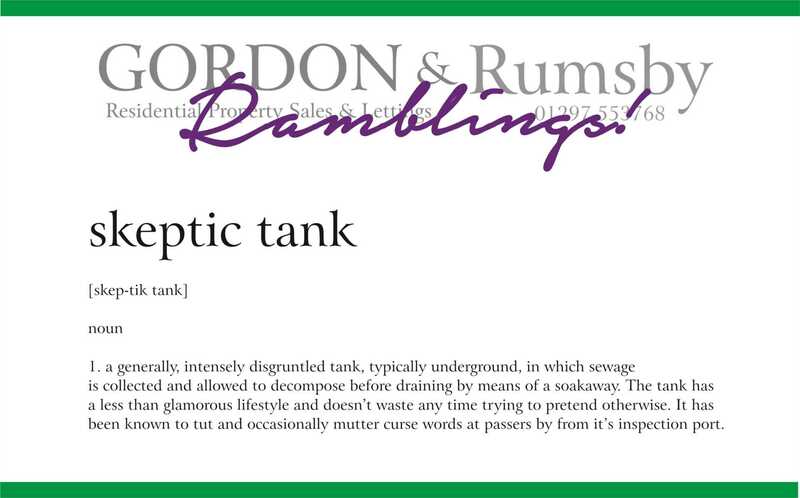 We`ll kick it off with, the infamous: skeptic tank.